Round Doily Header Card have good performance of recyclable and environmentally. 8 pcs round paper doily 10 inch white, packed with poly-bag and header card. It will become very beautiful once you use it decorate your table or dish. 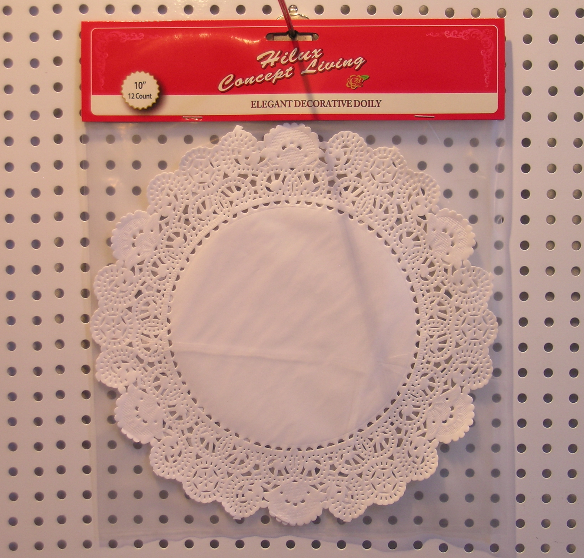 Our paper doilies are perfect for household and restaurant. There's a good opportunity for you to use Round Kraft Paper Doily, we can provide the best quality and competitive price. The shape of our products are round and made by white kraft paper 35gsm. Looking for ideal Round Doily Header Card Manufacturer & supplier ? We have a wide selection at great prices to help you get creative. All the Round White Kraft Paper Doily are quality guaranteed. We are China Origin Factory of 10inch Lace Kraft Paper Doily. If you have any question, please feel free to contact us.